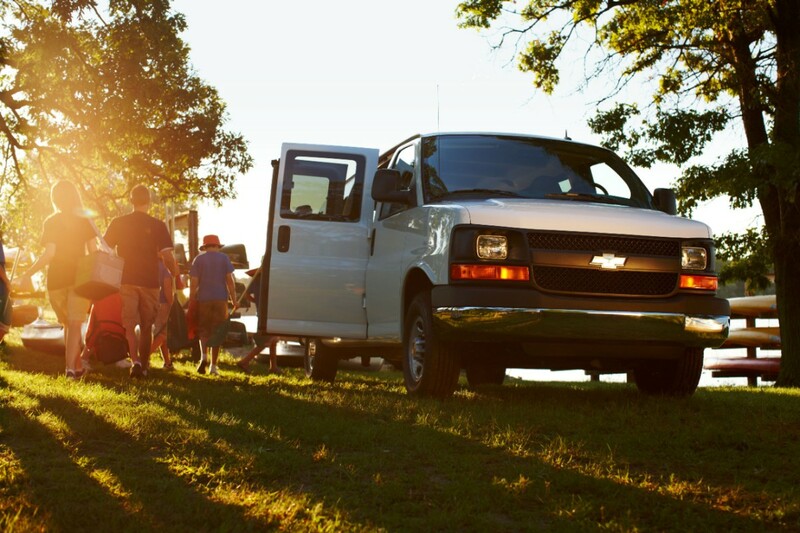 The 2019 Chevy Express is the lucky recipient of a few minor yet notable changes and updates. First up is a change in the color palette: the Graphite Metallic exterior color replaces with Shadow Gray Metallic. And lastly, the Express Cutaway 4500 2WT model with the 177-inch wheelbase becomes available with the School Bus Package. Those with a keen knowledge of the model nomenclature within GM’s order system will know the model in question as the model number CG33903 2WT. From what we understand, it has been a long-standing request of fleets and upfitters to make the model available with the school bus package. 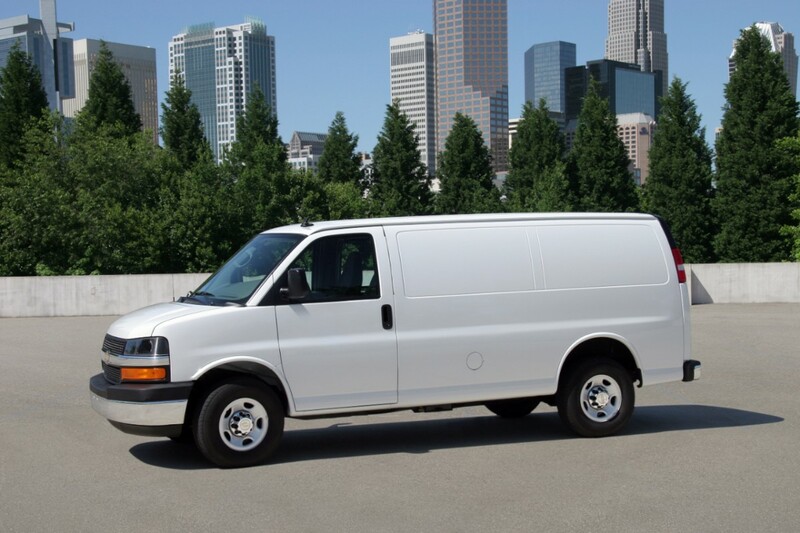 The Chevrolet Express is a line of full-size vans offered in cargo, passenger, and cutaway configurations. 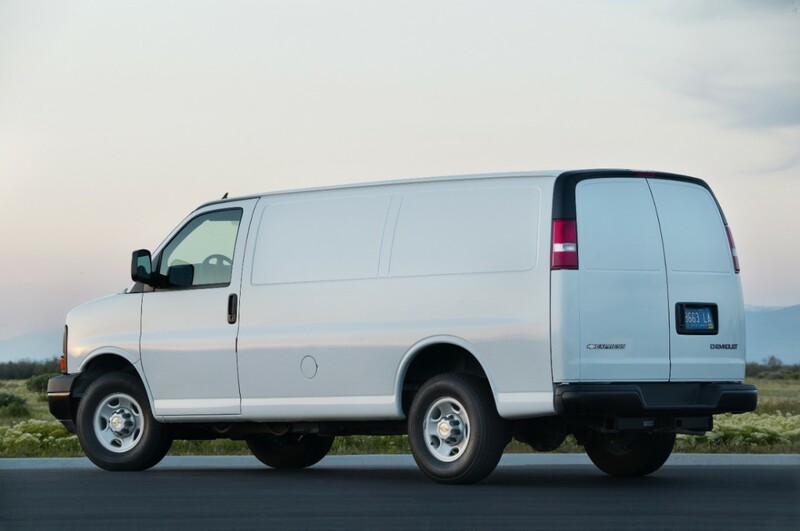 It slots above the Chevrolet City Express compact van, which GM sourced from Nissan and discontinued after the 2018 model year. The first-generation Express ran from the 1996-2002 model years and was based on the GMT 600 platform. In 2003, a facelifted model was launched on what is known as the GMT 610 platform. This updated model remains on sale today, albeit the range has undergone a few updates to powertrain and minor styling changes. The Express also has a GMC-badged twin – the GMC Savana. It is currently unclear whether or when General Motors will overhaul the Express, which is now the automaker’s oldest product by a long shot. The 2019 model year represents the model’s 17th year on the market. 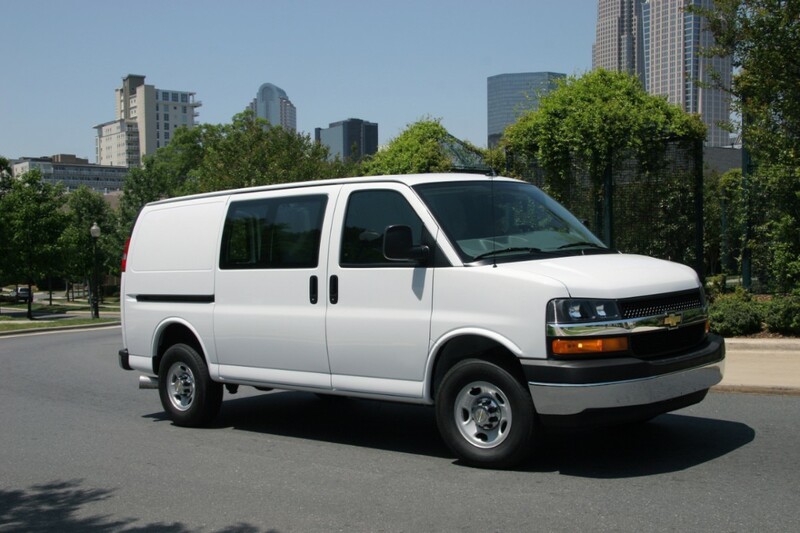 The Chevrolet Express is built primarily at the GM Wentzville plant in Missouri operated by GM USA. In early 2017, Navistar began contract assembly of the Express cutaway in its factory in Springfield, Ohio. The move is part of GM’s plan to boost the model’s production capacity and supply/availability. 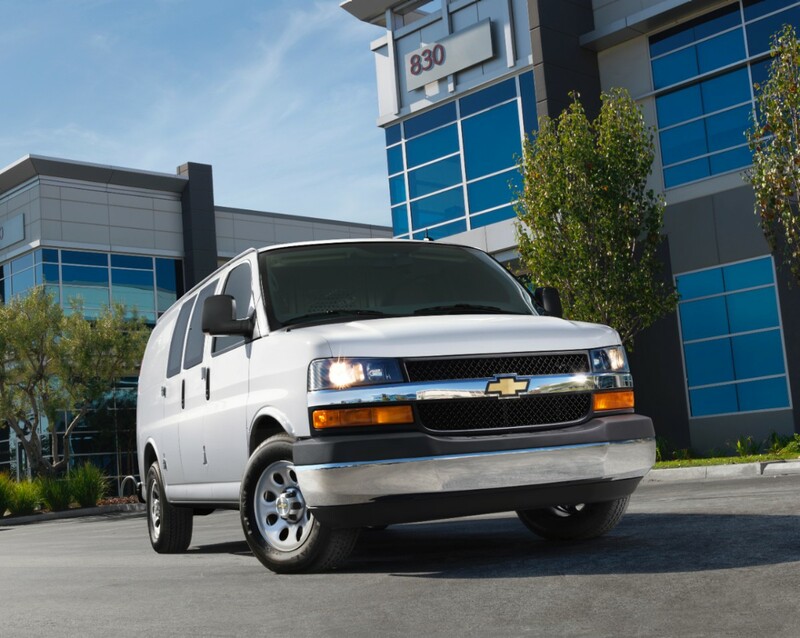 Discuss the 2019 Chevy Express in our Chevrolet forum. 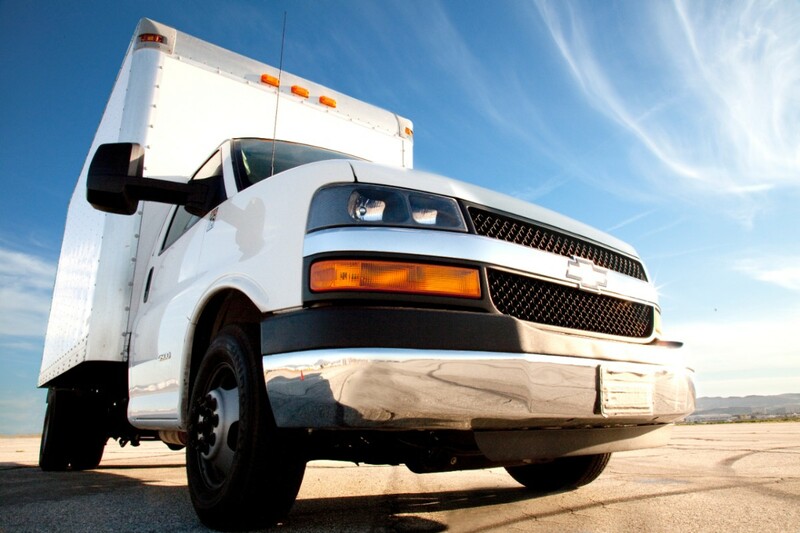 Follow our coverage of Chevrolet Express news, Chevrolet news and GM news. No sliding doors at the sides? That’s the cargo van configuration. The passenger van sliders. At the very bottom of the article, click the little plus to see the photo gallery for the model, which includes the variants. I realize she’s a workhorse first and foremost, but I’d be a fan of an optional tear drop window and a Borla exhaust. Maybe an A-Team Heritage Edition? Very interesting. I’m curious to see how they implement these changes. Glad to see GM is still producing a full size cargo van. My question is—- will GM ever make a short wheel base version again. I had one in the late ’70’s. All Black, no windows and converted it to 4 wheel drive. Sure do miss that boy. Life has a way of getting in the way. A short wheelbase version will probably never come back since that space has pretty much been taken by the new compact vans… which GM doesn’t have after dropping the Nissan-sourced City Express. Here’s to hoping they make a next-gen City Express of their own to compete with the likes of Ford Transit Connect and Ram ProMaster/Fiat Doblo. Yeah, protected from competition by the “Chicken Tax”, the Express/Savana slept thru the years without having to evolve. This is a showcase of what the distructive protectionism propagated by POTUS Trump spells for the US auto industry: long time sleep. But now Ford and FCA have brought the more modern European LCVs to the USA, and the recent alliance of Ford and VW will probably provide US production capacity for the VW Crafter, Transporter and Caddy. Doesn’t Mercedes also market their Sprinter in the USA? In the times of DaimlerChrysler, there was a US production of the Sprinter from CKD packages (which circumvents the “Chicken tax”). 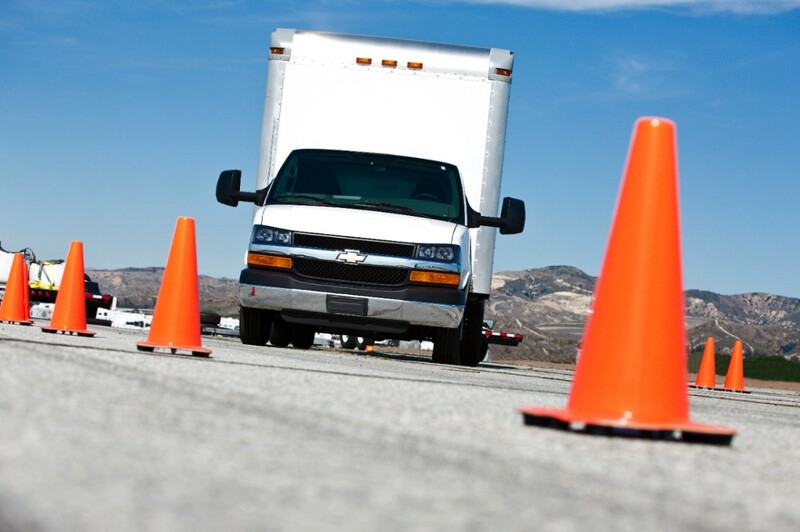 GM should ally with PSA for the development of modern LCVs. The ITDC (International Technical Development Center) at the Opel headquarters in Rüsselsheim got the assignment to develop a PSA-own platform for LCVs, which I understand as a body-on-frame architecture, and which I understand as the pre-condition for severing the cooperation with FCA in the SEVEL Sud joint-venture which produces the Fiat Ducato (aka RAM ProMaster) = Peugeot Boxer = Citroën Jumper. Great comment Pete :). Life was less complicated in the ’70’s. Stevie Wonder says it’s the sexiest vehicle ever. Most of these vehicles are sold to fleet buyers who have very different priorities than individual customers. They want commonality of parts, durability, familiarity with service procedures, functionality and low lifetime running costs. I wish the 2.8 diesel was available in the cutaway. I don’t think it was a good idea to drop 6.6 duramax. Especially in 3500’s and 4500’s. I would think the 3.0 diesel coming up for the Silverado would be a better choice. 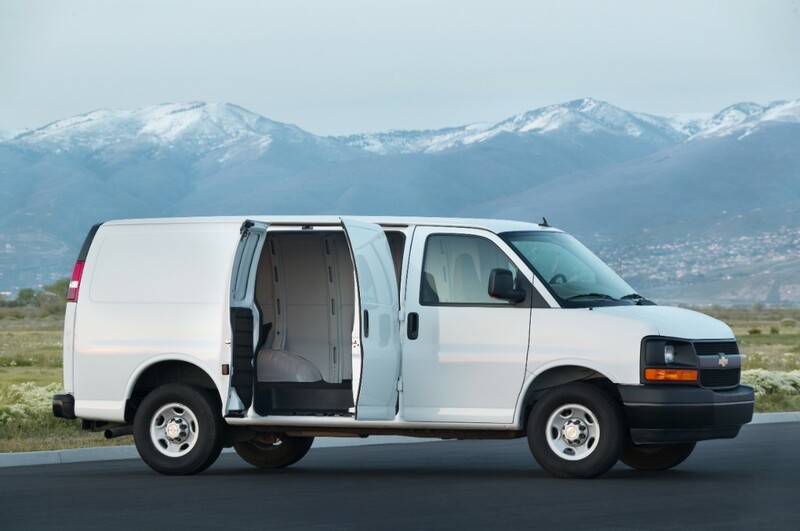 GM needs a van to compete with the Ford Transit van. I’ve spent a lot of time in both for work and prefer the Express by a landslide. More leg room and much more comfortable to drive. The aluminum Transit gets dinged up way too easily from inside cargo. 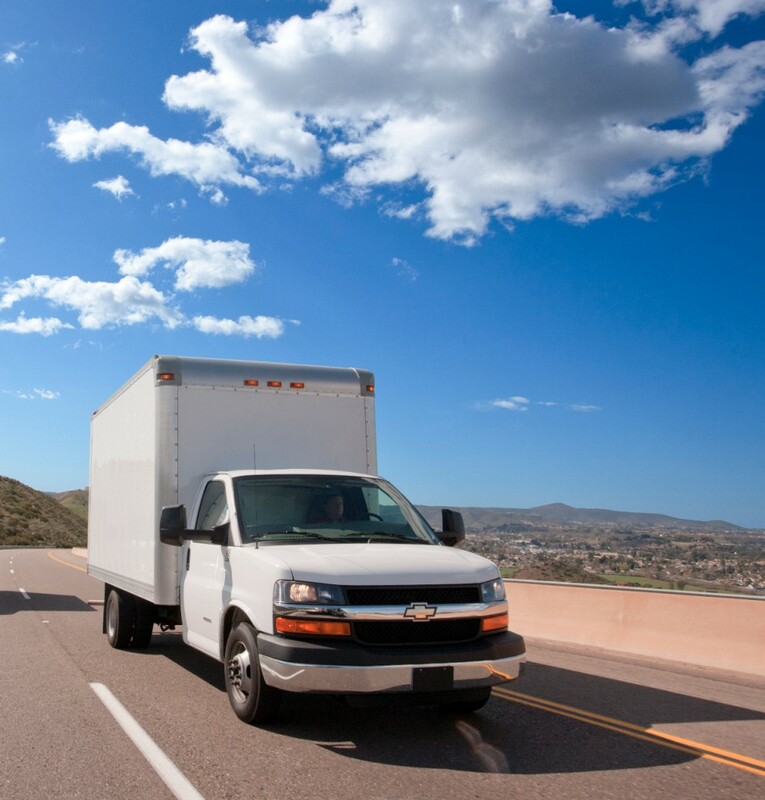 The increased gas mileage on the Transit is negligible when loaded too. The people I work with and I drive em like we stole em. 4.8 motor is a work horse. Haven’t been able to break one yet. As with many GM trucks, transmission is the weak point. 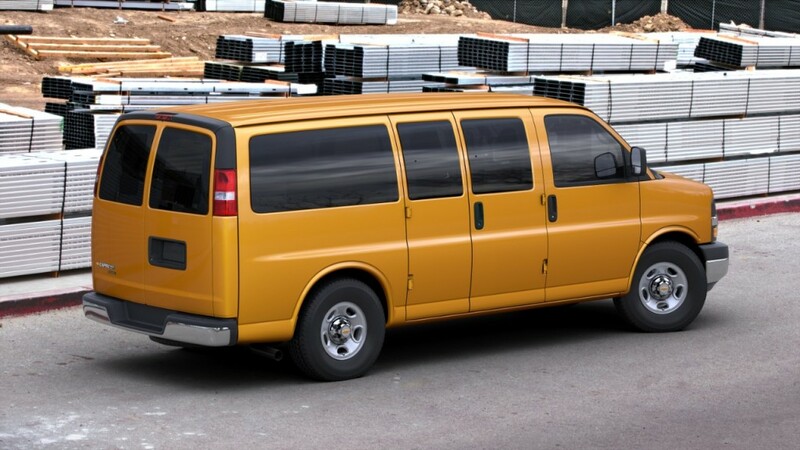 Even though I’m a Chevy guy, still think best van of all time is the Ford E350 with V10. Can the 3500 have 4×4 or all wheel drive? I wish they would bring back the 4 door model (barn doors on driver and passenger sides) that was ended in 2014.